I was excited to find this SkinLikes deodorant in my September VeganKind box. For ages now I've put up with using a cheap deodorant that leaves white marks on my clothes. But not anymore! 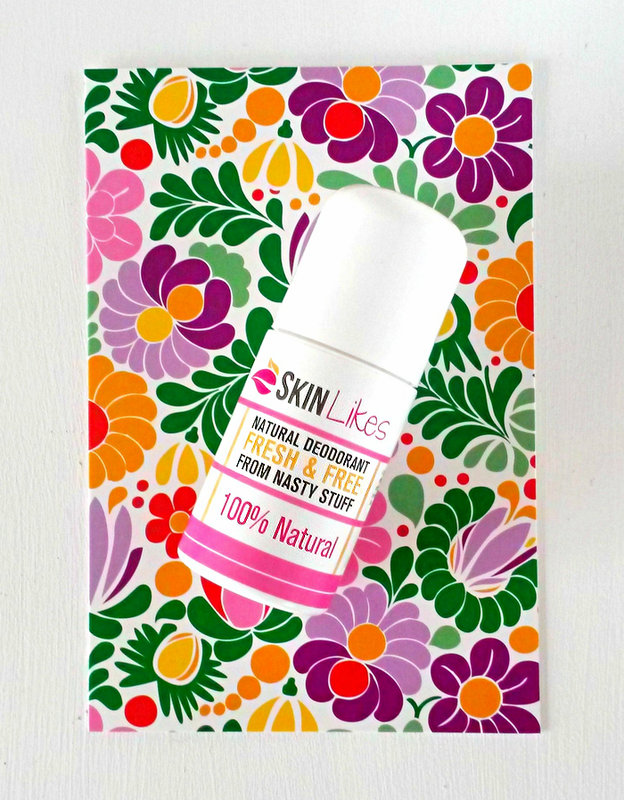 SkinLikes is 100% natural, cruelty-free, vegetarian and vegan. As a plus for those, it's the best deodorant I've tried. It works a charm all day long, doesn't leave white marks and miraculously doesn't sting after shaving. It's dries quickly too, perfect for when you're in a rush. The smell of jasmine essential oil is lovely and I'm much happier to be using something without parabens and other weird chemicals. At £4.95 it's not something I would have chanced my money on, but now I know how good it is I'll happily be buying it again. A really brilliant product!